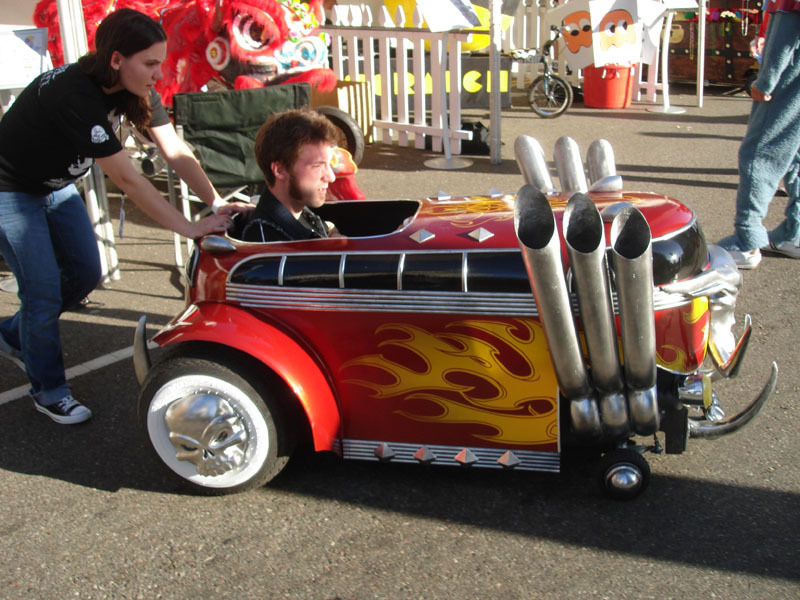 It take some serious balls to race these machines! 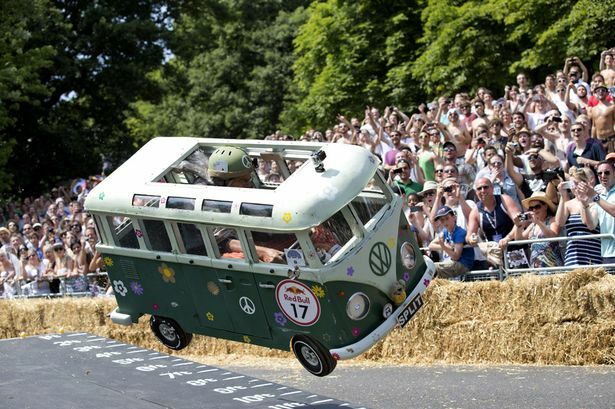 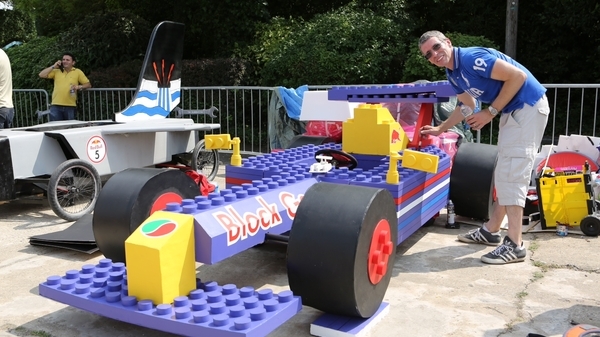 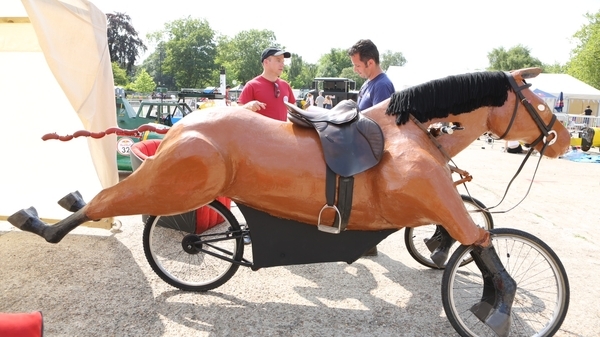 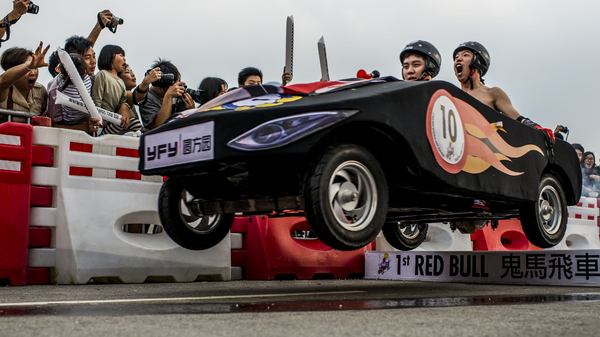 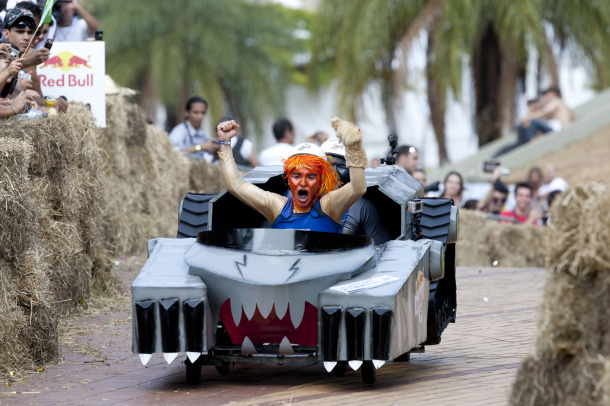 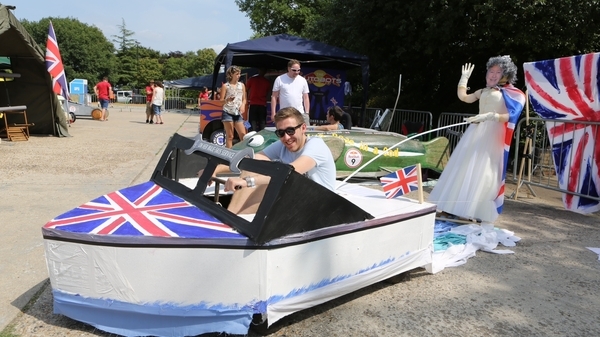 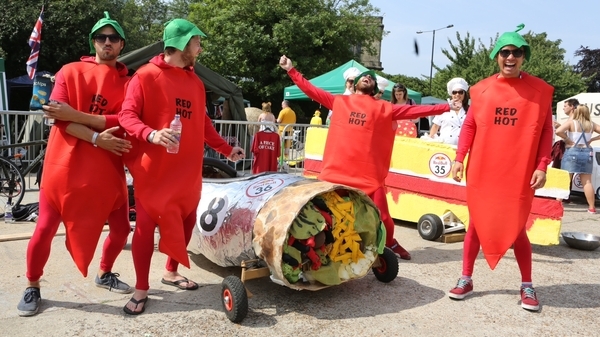 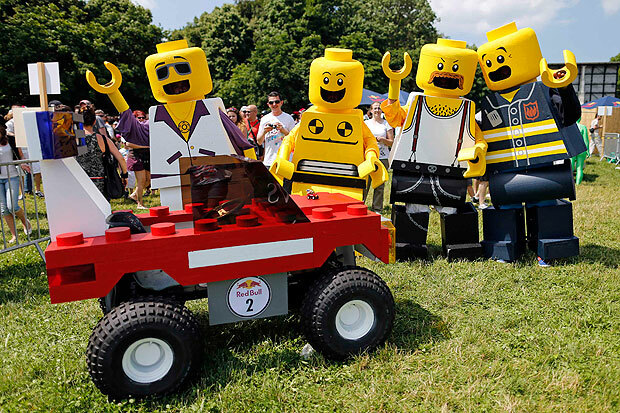 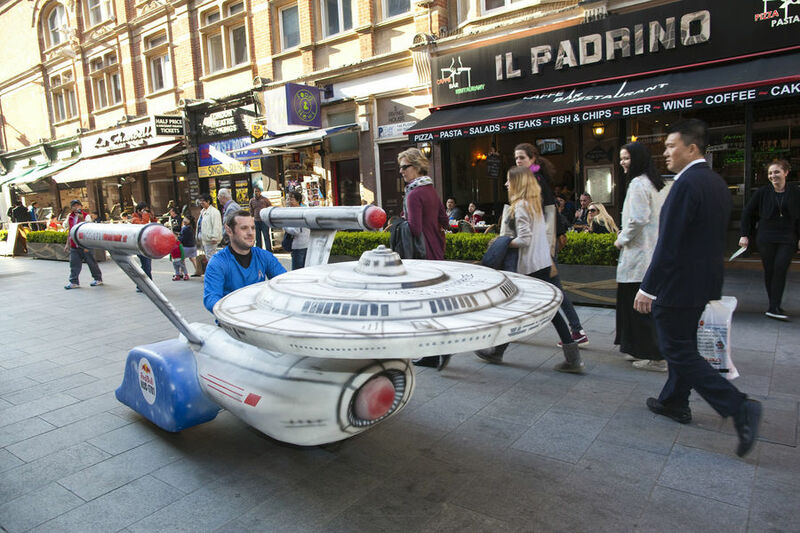 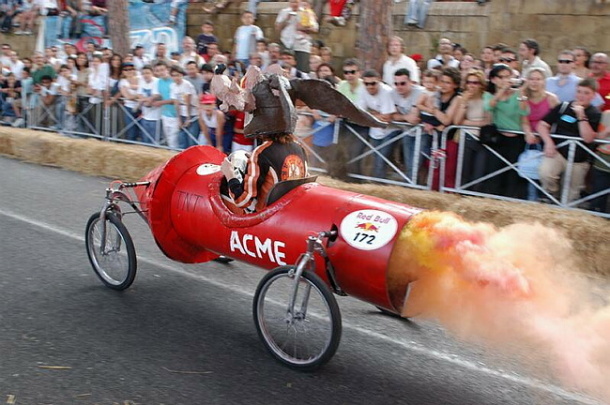 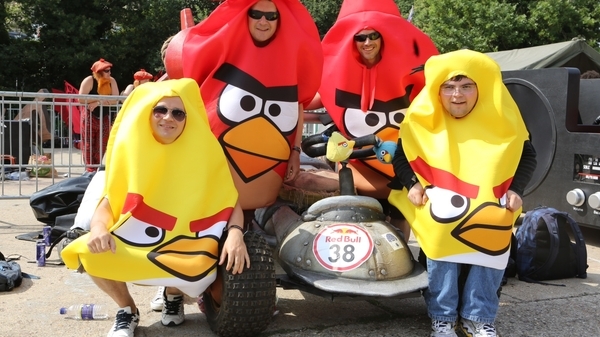 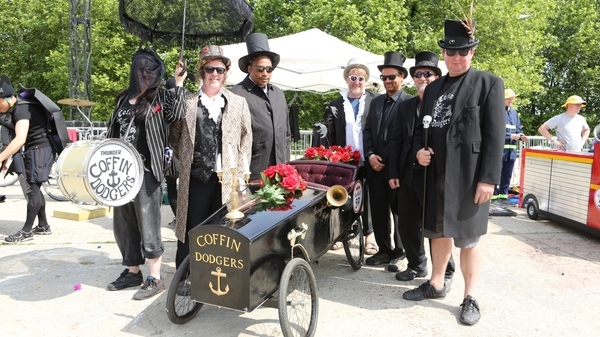 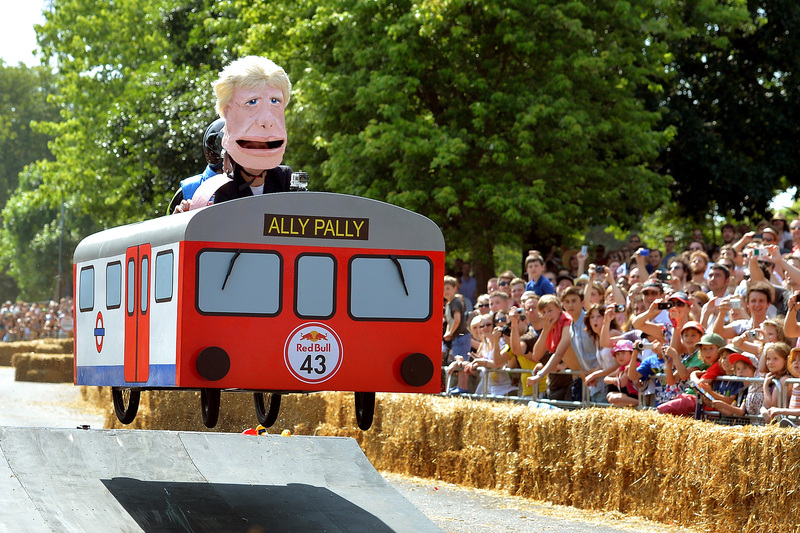 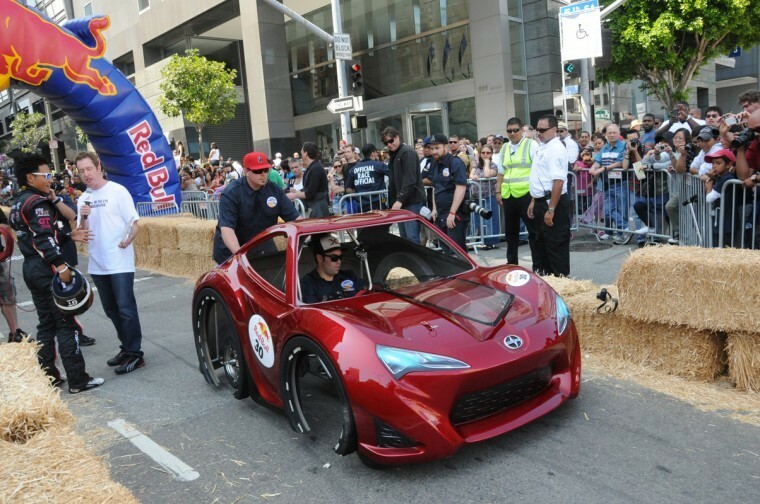 The Red Bull Soapbox Race is an international event in which teams and drivers race their homemade soapbox vehicles. 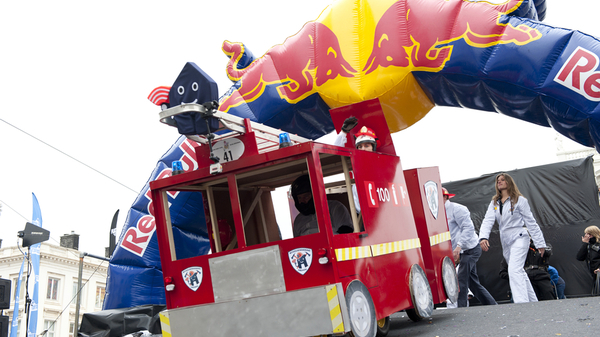 Each of them is hand-made and is powered by courage, the force of gravity and maybe a can or two of Red Bull. 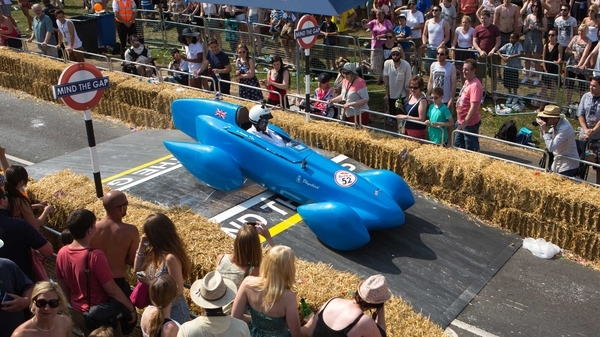 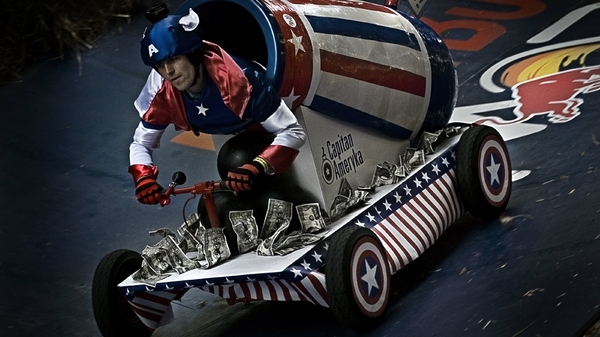 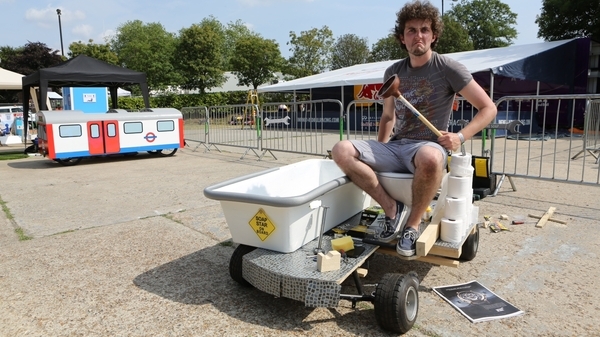 Each team challenges experts and amateurs alike to perceive and design the best and most outrageous soapbox machines for the ultimate downhill race. 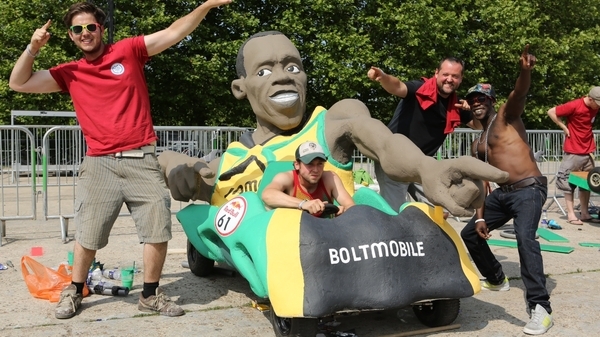 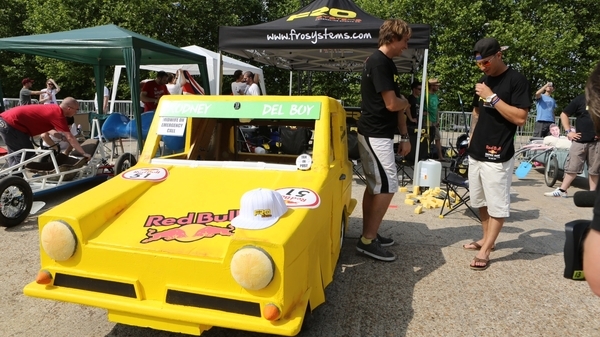 There has been over forty Red Bull soapbox races around the globe with the first event being held in Brussels in 2000.